Wow! 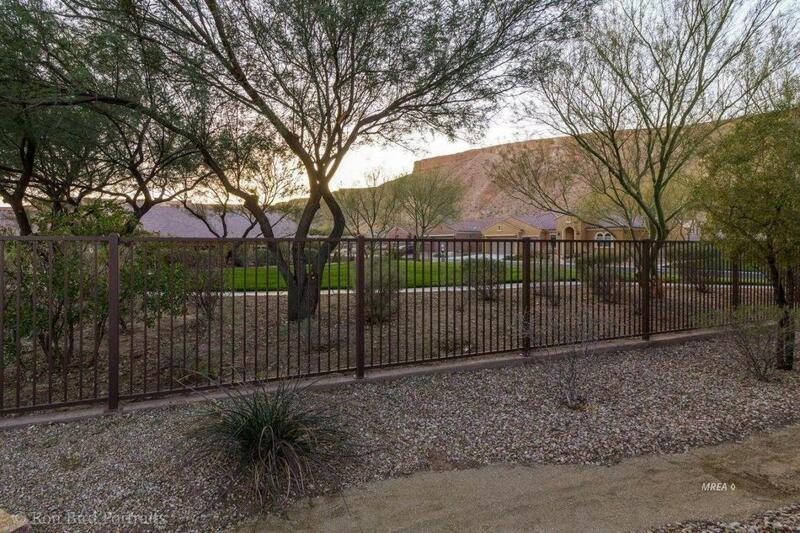 Breathtaking southeast 180 degree mountain views on elevated 1/4 acre lot, highest elevation in Sun City's only gated community. SIDs $9.900 PAID-IN-FULL. 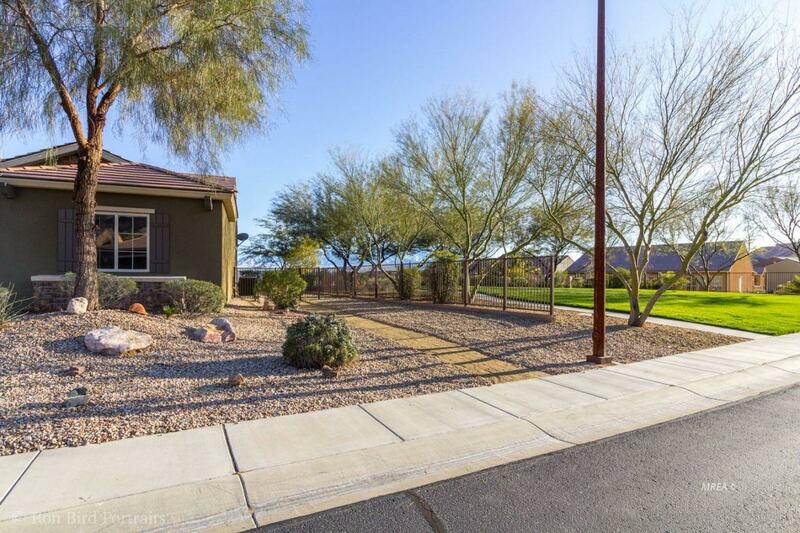 2 bedrooms, 2.5 baths + den, 10' extra wide garage for golf cart/storage. Borders park/green space (better than corner lot). Stunning mountain views from foyer, great rm, dining rm, cafe, kitchen & master bedroom. Mesa View from 2nd Bedroom. BRAND NEW dishwasher, stove top, high quality carpet/pad and 2-tone custom paint. 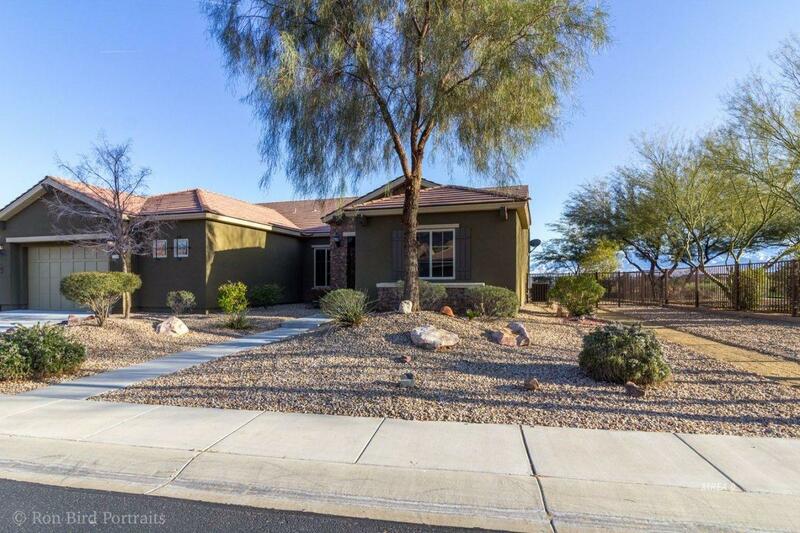 Large gourmet kitchen has granite countertops & stainless steel appliances. Desirable Jack & Jill bathroom has door from hallway & 2nd Bedrm. Master bathroom has walk-in shower, upgraded walk-in jetted tub and dual separated vanities with upgraded lighting. Large laundry rm has built in utility sink, cabinets and countertop. 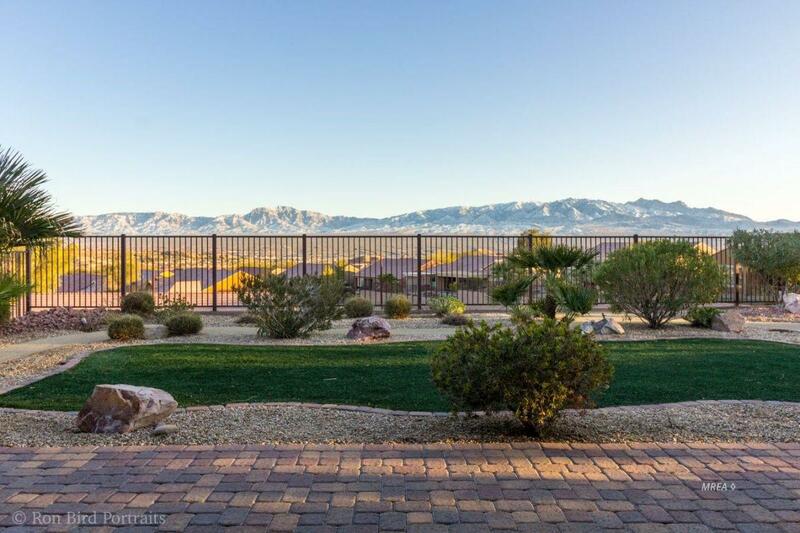 Large covered patio & fully fenced backyard with walking paths is great for entertaining/relaxing while enjoying panoramic views of Virgin mountains & valley city lights. Sun City has resort-style luxury amenities: indoor/outdoor pool/spa,18-hole putting course, tennis, pickleball, bocce courts & state-of-the-art fitness & discounts at Conestoga Golf & 1880 Grille Restaurant.